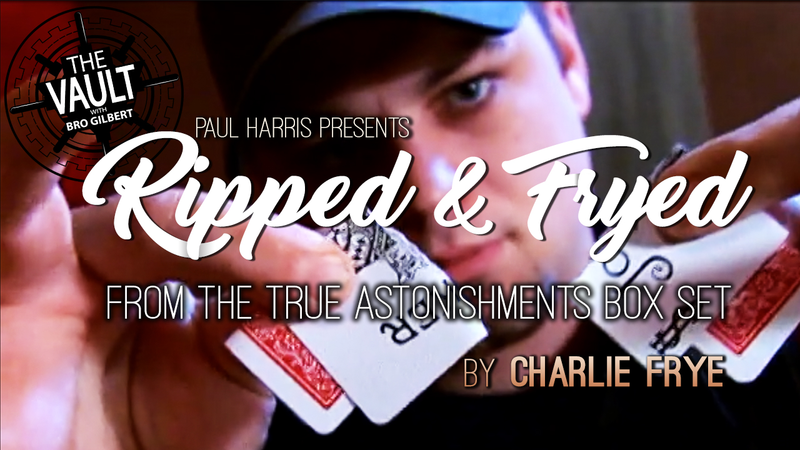 Charlie Frye has come up with the most incredible Torn and Restored Technology to date! Whether you play with this in the mirror or on the town, you will love doing this! And your audience will go crazy! The spectator signs their selected card. It is placed inside of another card, and the two are clearly torn together. The magician even separates them, making it clear that both are indeed torn. Nevertheless, right in front of their eyes, you remove their card from inside and it's completely restored! Get this download and soon you're be performing the above miracle! This is an outstanding trick--well worth the price. What you see in the promo video is exactly what you'll see in "real life." It uses two cards and nothing more. The card may be signed. Using a Queen gives you a motivation for tearing the card in two, and the complete restoration eliminates the problem with some other T&R routines--the ones that leave you with a quarter-card unrestored. The instructions are clear and direct.